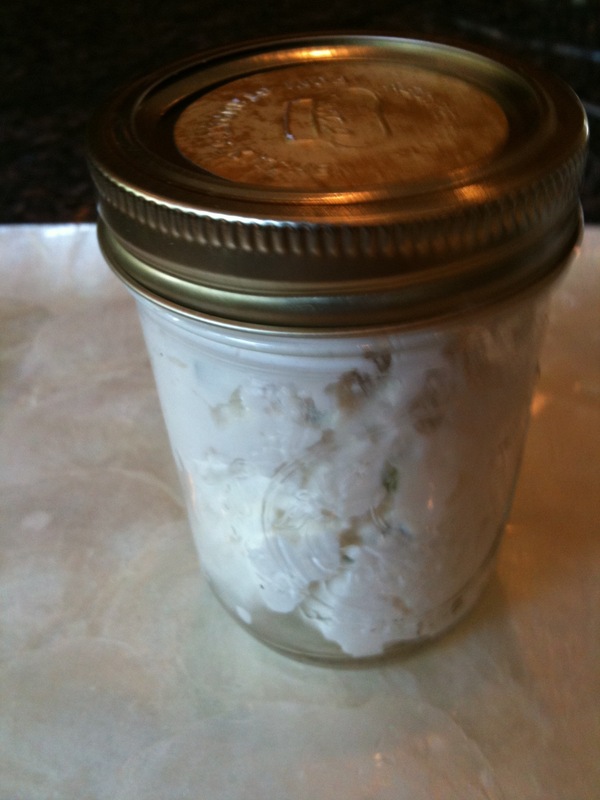 Homemade Goat Cheese Goodness - Mom Around Town. 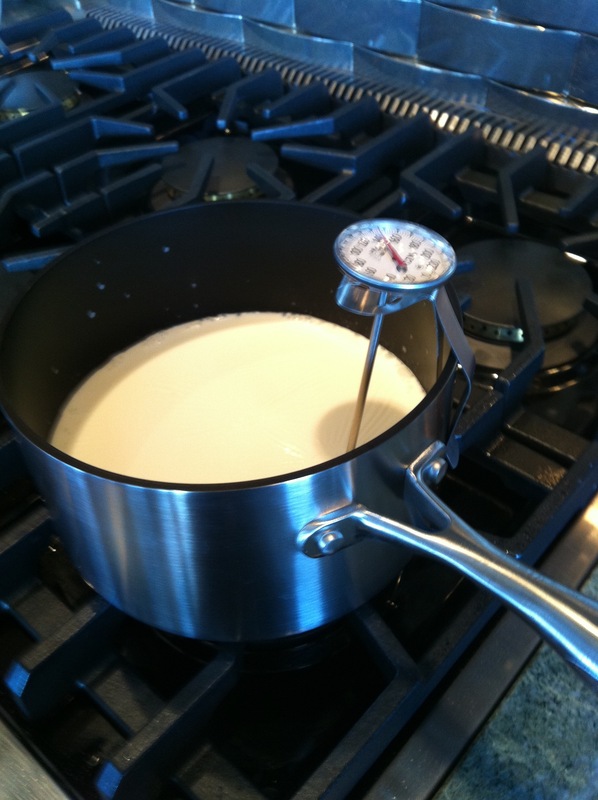 Pour the entire carton of milk into your pot and put on medium heat. If you have a handy dandy tool that attaches the thermometer to the pot, use it. 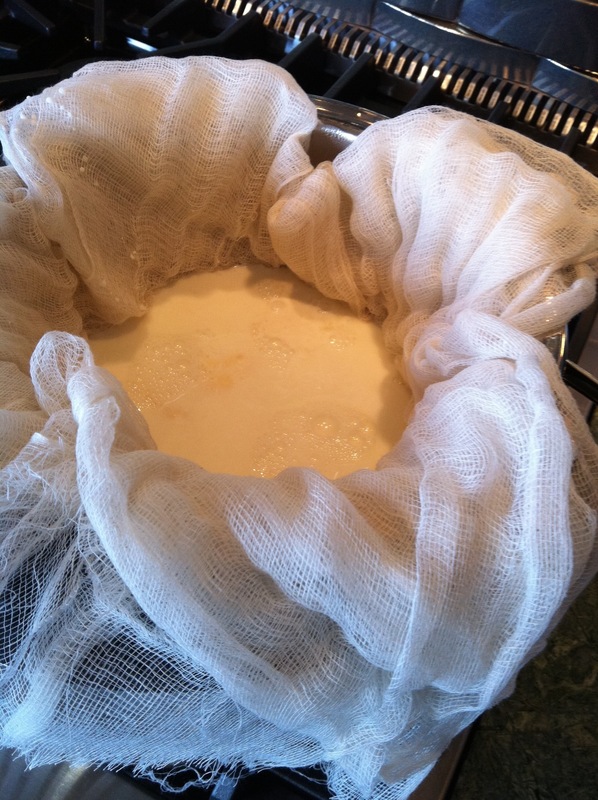 While it’s warming, fold your cheesecloth over several times and line the colander. Place the colander in the large bowl. 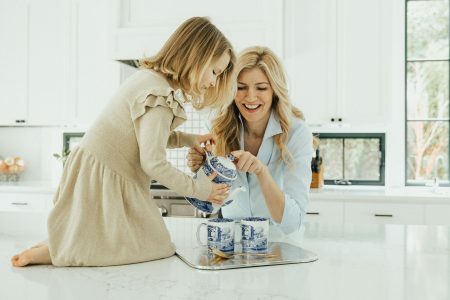 Keep a close watch on your milk to make sure it doesn’t boil. If it does there’s a chance it won’t work well. Let it heat up to 180 degrees. Once you have reached 180 degrees, remove it from the heat. 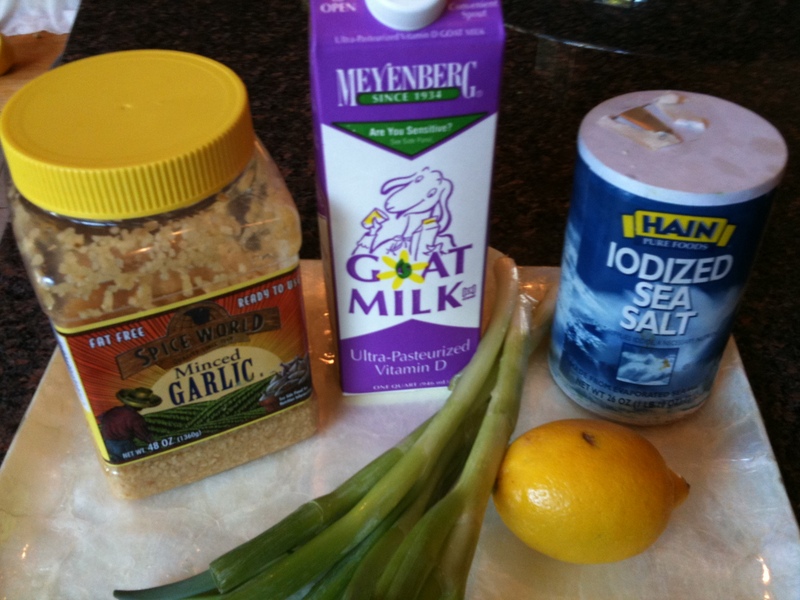 Add your lemon juice and stir. 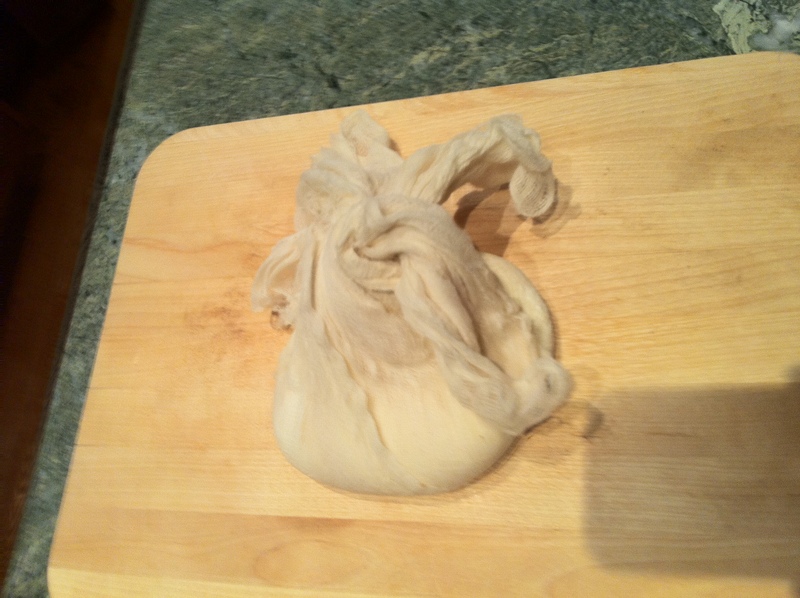 Now let it sit for a couple minutes. You will see a little bit of curdling. Carefully ladle it into your cheesecloth. Now let it drip, drip, drip into perfection. This could take about an hour and a half. 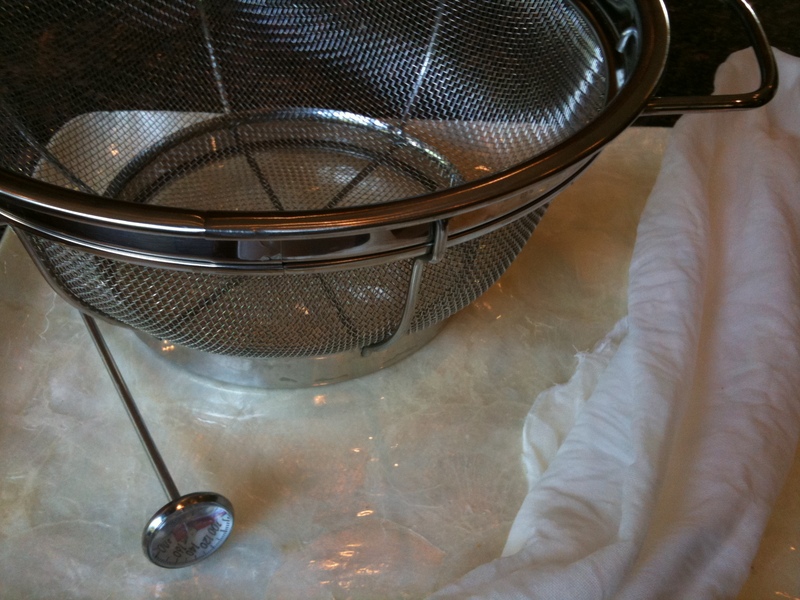 I like to tie the cheesecloth corners around a spoon and balance the spoon on either side of the colander. Once the dripping has finished, you will find cheese in your cloth. 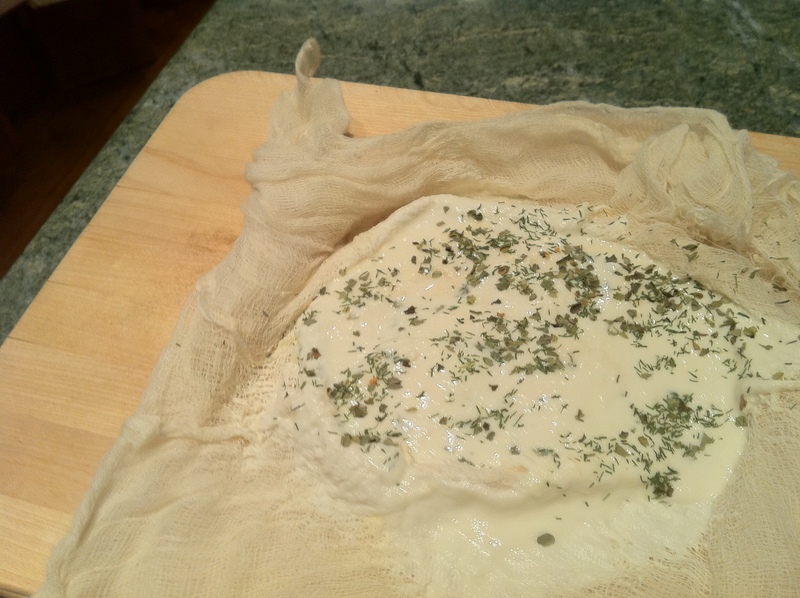 Fold in your favorite herbs. 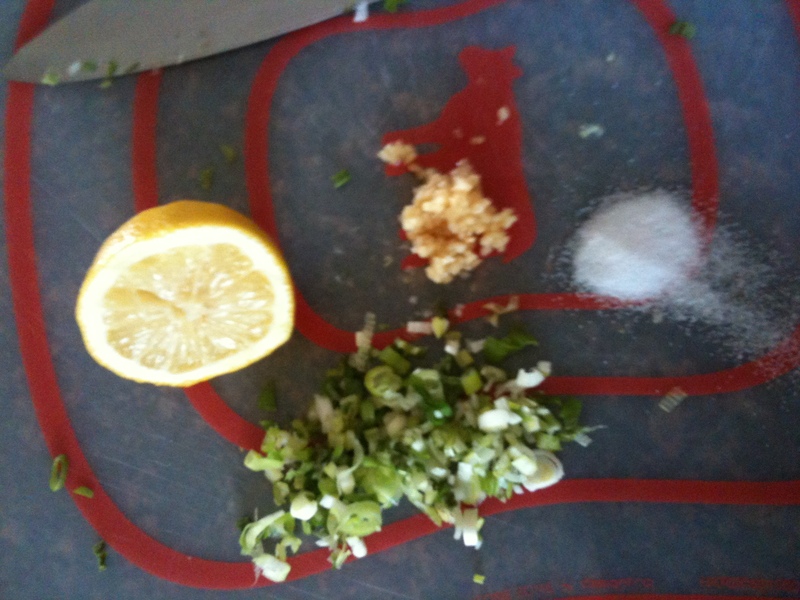 I like a little salt, garlic, and green onion. My other fave is going sweet with chopped dried apricots. Put it in a jar and drizzle with honey. Please tell me how yours turns out. I love making this so much!